Great music, great people, great cause! 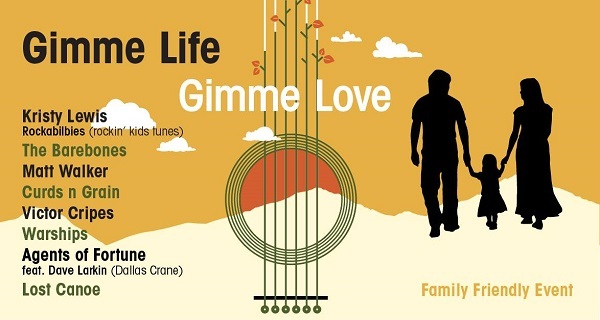 Gimme Life, Gimme Love is a benefit gig raising funds for local Monbulk mum Sherie Lucas who is in urgent need of life-saving brain surgery. Happening Sunday October 15 from 1pm until 10pm all proceeds go directly to the Lucas family to help with ongoing medical expenses. Tickets are $15 on the door or pre-book via sookielounge.com.au. This is a family friendly event with kids entry free of charge. If you can't make it but still want to donate, head to the family's Go Fund Me page here .